The only thing constant in the world of social media marketing is change. Yes, things keep changing every now and then, and if you fail to stay on top of the changes, your organic reach may end up taking a hit before you know it. The huge Facebook algorithm last year proved that. So keeping a track of the algorithm updates and tweaking your strategy accordingly should only be a part of your overall Instagram strategy. With that said, here are some actionable steps to use Instagram’s algorithm changes in 2019 to your advantage (in terms of engagement). Well, everybody and their dog already know that they need to post high-quality content on their Instagram account to get more engagement. But it isn’t as simple as posting what you think are high-quality photos. Instagram has its own ways of figuring it out, but probably the most important metric is the number of likes a particular post generates. If a large number of your posts get a decent number of likes consistently, there would be nothing stopping your engaging from going up. But how do you make sure your posts get more likes? Well, there’s some trial and error involved in this process and it also tends to vary from one niche to another, but something that works generally is posting pictures that are visually striking. Bold colors, exotic locations, something extraordinarily creative and so on usually doesn’t fail to get the attention of Instagrammers. If you’re struggling to give your photos the professional edge they need to stand out – but without spending a bomb on editing software – then apps like VSCO may come in handy. You probably already know that Stories are important, but what you likely don’t know is that they can indirectly affect your engagement. Posting more (engaging) Stories mean that you will be able to find your way to your follower’s Stories page more often. This, in turn, would mean more people checking out your profile, especially if you’re posting the kind of Stories that people would like. Needless to say, this would indirectly lead to an increased engagement, given that you’re also not lagging behind on posting high-quality regular posts. A combination of engaging, frequent Stories and lots of high-quality regular posts is one of the most effective ways of driving up your engagement. It might sound weird, but if you’re just starting out on Instagram with little knowledge of Instagram’s algorithm or how to build an account from the ground up, you stand little chance to generate any kind of real engagement. 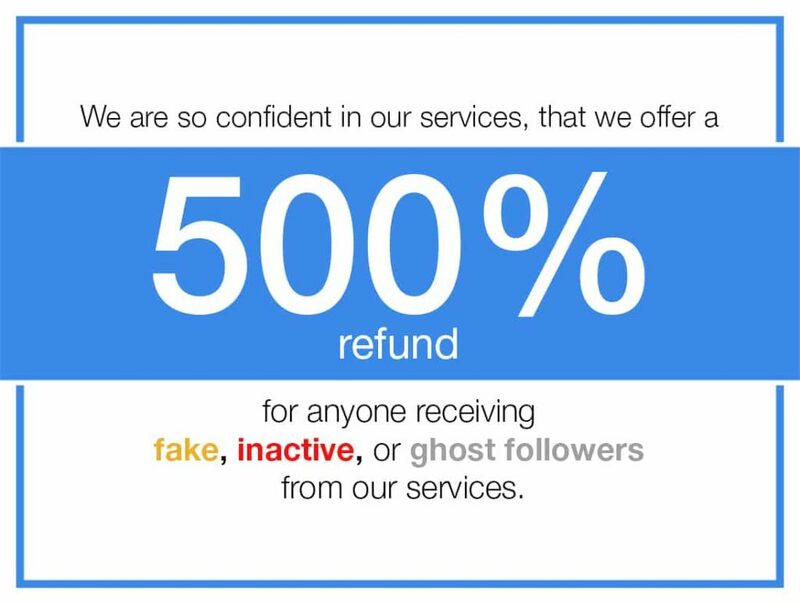 Of course, we would never recommend buying fake followers (they end up killing your account), but buying real followers? That’s a completely different thing. While there aren’t many services that offer real followers by actually implementing a strategy based around Instagram’s algorithm and getting real results with real engagement, you can a great head-start if you manage to find the right one. Once you’re well-established on Instagram with a decent, engaging follower base, it would get much easier from there to keep them engaged and grow further by simply focusing more on the content and following the other tips we have explained in this post. Unlike Stories, video content is believed to have a direct impact on your engagement. Although there’s no direct indication from Instagram about video content being favored over picture content, what we do know for sure is that the longer the users engage with your content, the more Instagram would reward you. And what’s a better way to grab the users’ attention than posting a video that autoplays when they are browsing their feed. If it’s even slightly interesting or useful, it has a very good chance of making the users stop and watch it till the end, or at least spend more time on it than they would when going through the usual picture posts. Instagram has also clearly mentioned that they will now be sharing the videos on IGTV on the followers’ feeds as well, which shows that Instagram seriously expects brands to produce more video content for their followers. Again, just like Stories, going Live on Instagram may not directly mean more engagement for you. However, what we mentioned about Stories stands true for Live videos as well. It gives you an opportunity to appear on your followers’ feeds, right at the top. This obviously means you will get at least some engagement out of your Live videos, which might roll on to your profile as well. But even if it doesn’t, Instagram may still decide to reward you for offering a diverse range of content to your followers in the form of regular picture posts, video posts, Stories and Live videos. Finally, Live videos don’t demand the kind of work regular video posts do, and users don’t have the same expectations they do when watching a regular video post. This means less work for you but a better opportunity to impress your viewers. Should I Post Pictures or Videos on Instagram?